The Catholic Church forbid cremation up until 1963. Catholic belief in the body as the temple of the Holy Spirit — as well as faith in the resurrection of the body — places a strong preference for entombing or burying the body intact. In addition, the Catholic Church took the line from Genesis (3:19) — “dust thou art, and unto dust shalt thou return” — as a literal instruction for most of its history, forbidding Catholics to be cremated and requiring that they be buried or entombed when they died. 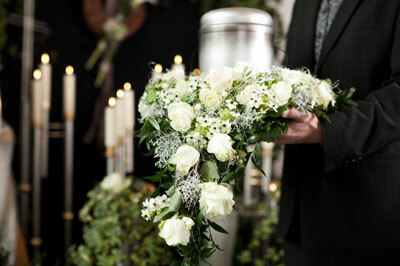 After cremation was allowed, the Church still required that cremation be carried out only after the actual body was present at the funeral Mass. Ashes were not allowed to substitute for the body at the funeral Mass. This prohibition also sprang from the Church’s reverence for the body which carried the oils from Baptism, Confirmation, and possibly the Sacrament of the Sick. The prayers of the funeral Mass confirm this respect for the body. However, in 1997, the Church recognized the need of loved ones of those who had chosen cremation to have a tangible presence of the deceased during their funeral Mass, and lifted the ban on having ashes present during the service — that cremated remains could be present at a funeral Mass. Despite that change in policy, however, one edict stands: The remains of one who has died must be treated with reverence. That means scattering cremated remains (the ashes) is forbidden. The cremated remains should be placed in a worthy container and then buried in a (preferably Catholic) cemetery or placed in crypt. It also means you can’t keep the ashes on display at home on the mantle or put away in a bank vault. Cremation clearly isn’t the Church’s preferred means of handling the remains of the faithful, but it is a permitted and recognized choice.